Some watches have the ability to grab your heart and never let go, and the love becomes all the more intense when the watch reveals it’s magic only when you get closer. 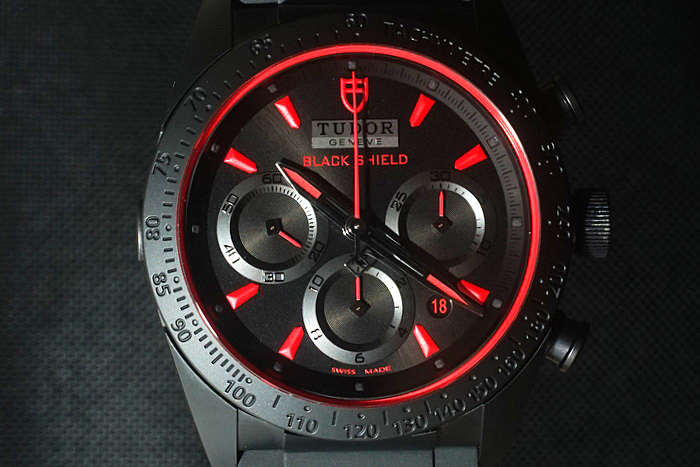 This was the curious experience I had with the Tudor FastRider Black Shield, that while having been in the market for close to a year, was something that I had never been able to experience in the flesh. Still when something as wonderful as this has fallen through the cracks of my attention, I consider that its perhaps destiny’s way of allowing my discovery of it to come about in a more personal way. 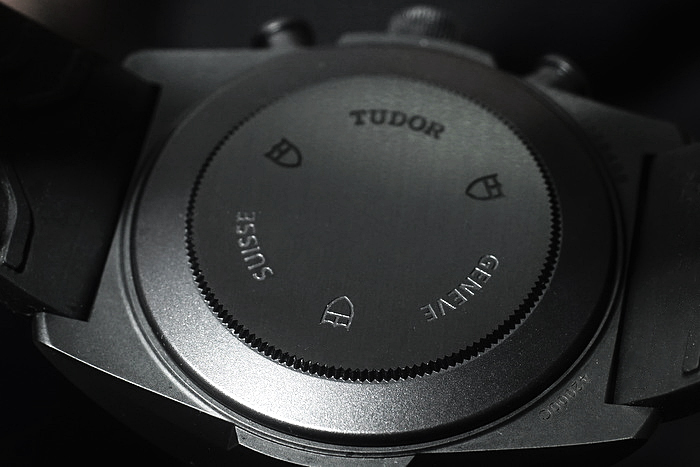 With the kind permission and generosity of Tudor then, this watch was unexpectedly placed in my hands, and I was told to wear it around for a few days to get a sense of what it was all about. 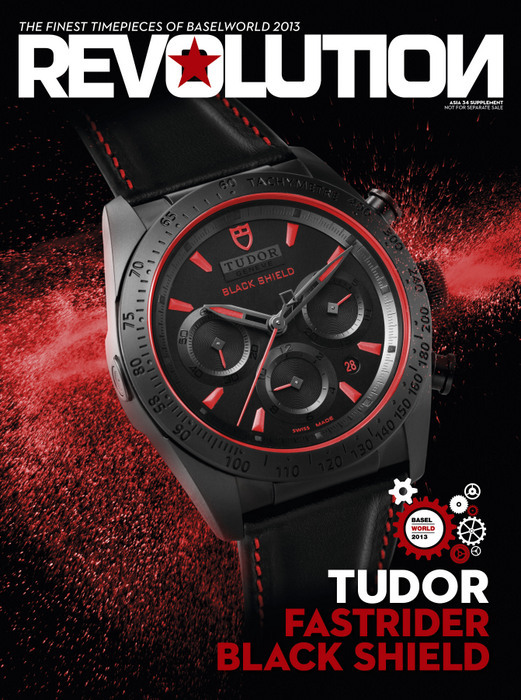 Readers of our print magazine will probably know that this watch was the cover model for our Basel Supplement last year, and was rated as one of the best sports chronographs of 2013. The Fastrider Black Shield, along with the retro-inspired Heritage Chrono Blue certainly stand as evidence of Tudor’s recent upward trajectory, with the brand carving out a distinct identity from its more prestigious stablemate, Rolex. Now with watch in hand, I could really find out what the fuss has been all about. After-all while my colleagues at REVOLUTION have been feting this watch, and praising it to the skies, I had taken no particular interest. Yet, it only took a few minutes after having this watch thrust in my hand to realise that this was something wonderfully different here. The love of a watch is a peculiar thing, and the way it develops can sometimes resemble the complexity of our human relationships. 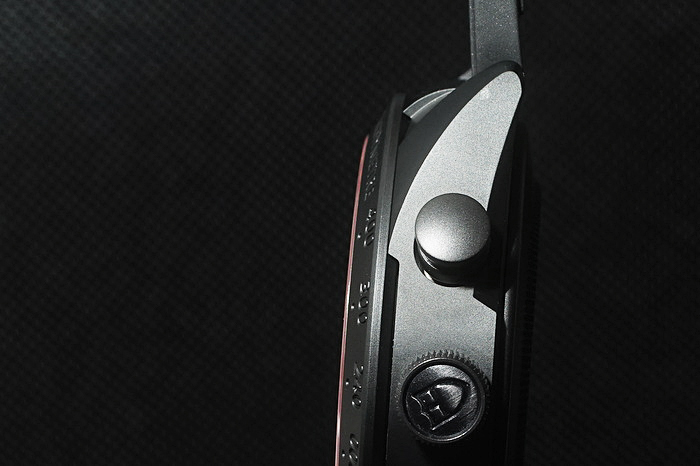 Having the Fastrider Black Shield in my hand and examining it up close, I felt an intense pang of desire that came in part from the complex emotions that it elicited. Here in the hand, the feel of the stunningly well-made black ceramic, fashioned into the familiar shape of the Oyster case that I had come to know so well, felt for me, like an intoxicating blend of the old and the new. Perhaps as well, there was a hint of the rejuvenating possibilities of the usage of new materials in watch-making, a concept that I had come to know intellectually, but never felt emotionally. 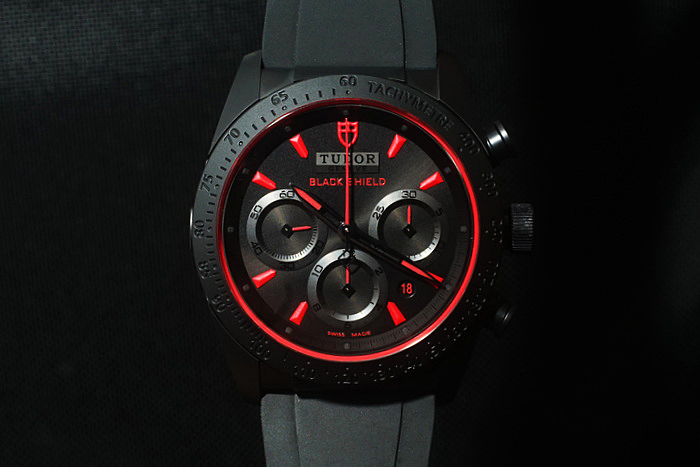 True, while ceramic is not a new thing, with the Fastrider Black Shield being by no means the first watch to be made in this material. Yet because ceramic remains in the nascent stage of adoption in the watch industry, by normal standards then it still is a very novel thing. The main benefit of course to ceramic is its scratch resistance. As a watch reviewer, this was easily the best thing about this watch. Perhaps not many people know this, but the process of reviewing a watch can sometimes be a very stressful affair. 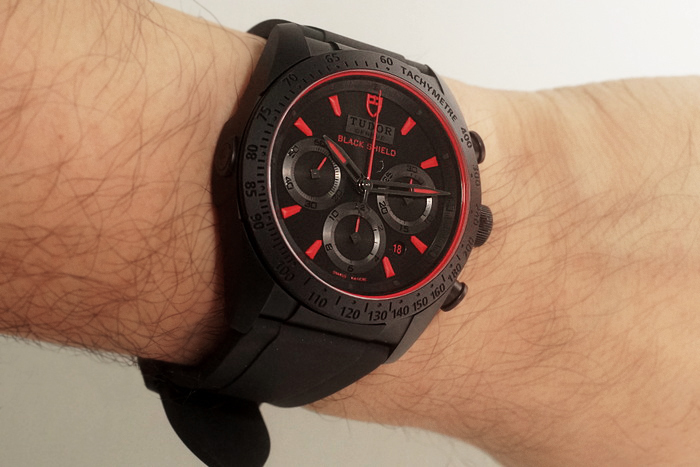 While one is charged with the task of wearing the watch to assess its qualities, paradoxically, one also has to be very careful, taking precautions to not mark or damage it in any way. The scratch resistant ceramic case therefore, gave me one less thing to worry about. 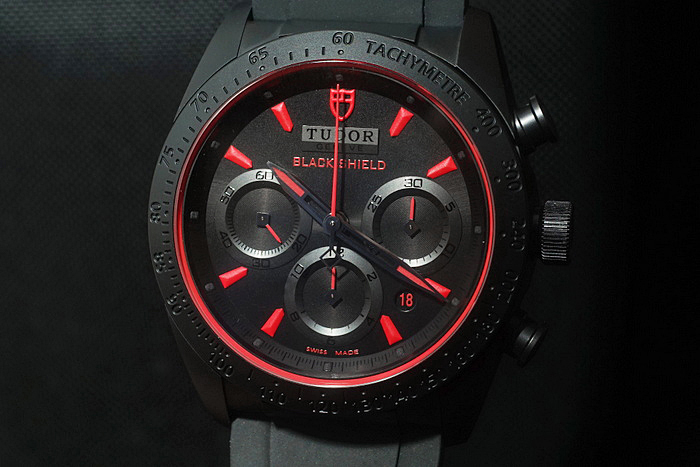 On the wrist, the best aspect of this watch is how it’s personality changes depending on how you look at it. From a distance, it doesn’t scream for attention, with the matte black case blending well into the surroundings. Yet the somewhat familiar (Oyster) case shape begs a second look from curious onlookers, who on traversing the middle to short distances, come to realise with each step, that this is a watch that gradually reveals its beauty the closer you are to it. What is magical here then is the 3 dimensionality of the details that can only be made out with close inspection. 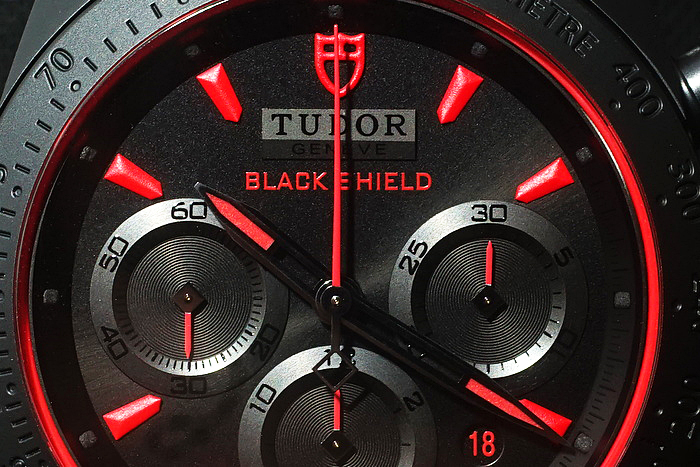 Seen like this, the red hour indexes and Tudor logo stand out, with other details such as the sub-dials and the engraved numbers in the tachymeter scale being the other points of visual interest that suddenly appear from nowhere. Seemingly then a watch that seems flat from far away transforms into a landscape of shapes and details that bristle with life. 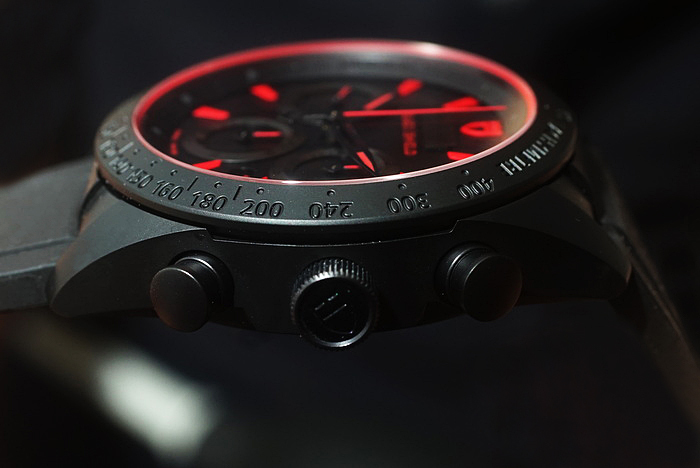 In dim lighting especially, with much of the detail shrouded, one can only make out the blazing red indices and the chronograph seconds hand standing at attention. The hour and minute hands are slightly less visible, yet with their polished surfaces reflect a contrasting glossiness against the matte background. 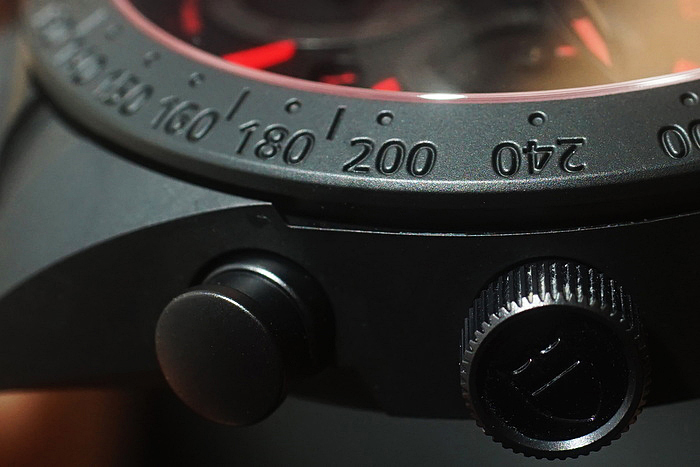 Then, adjust your viewing angle of the watch by tilting it from side to side, and note the delicious way in which light catches the different shapes and forms. Truly stunning, and truly a sculptural delight. Easily then, this is a watch, that in the visual interest department has so much going for it already. Combine that with the proven and reliable Valjoux 7753 chronograph movement with the 3-6-9 sub-dial configuration and a date to boot, and really, what else do you need? On a rubber strap with deployant buckle like the sample I had, the overall package is well put together and very comfortable. 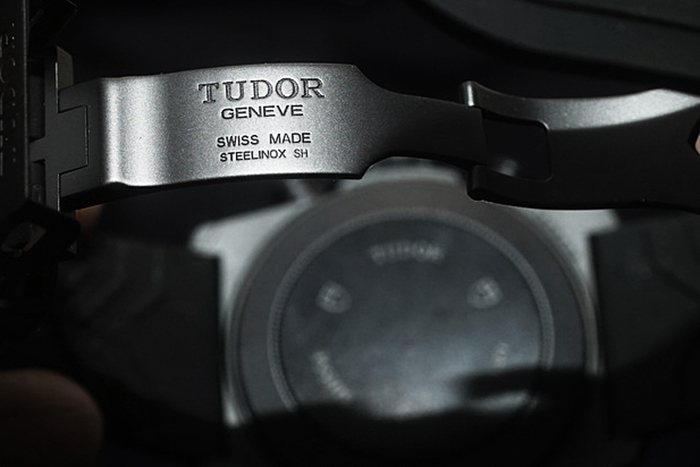 The case still retains the weight, solidity and feel of stainless steel, yet has the technically purposeful look that, depending on the angle of the light, can remind one of the sinister cool black of a gun barrel or the carbon fibre monocoque chassis of an F1 car. 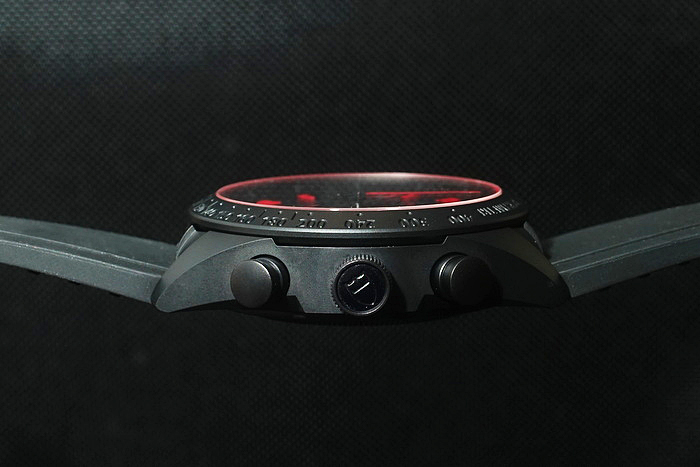 This is a watch that I can easily imagine going the distance well. In the few days I had it, from the moment I received it to the moment I gave it back, I found myself getting distracted to admire the watch on my wrist more times than I have had with many others. Some watches it seems, just have that ability to grab your heart when you wear them. For me, this Tudor was certainly one of them.